Bowl to Freedom - The Chip's Challenge Wiki - The Chip's Challenge Database that anyone can edit! Bowl to Freedom is the 112th level in Chip's Challenge 2. It was created by Anders Bager. 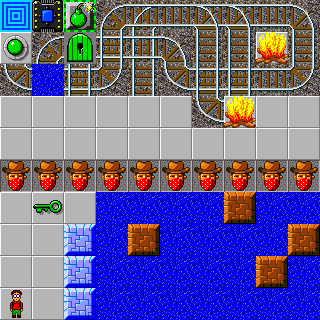 The full level is visible from the starting point, however the map below shows items hidden by blocks.